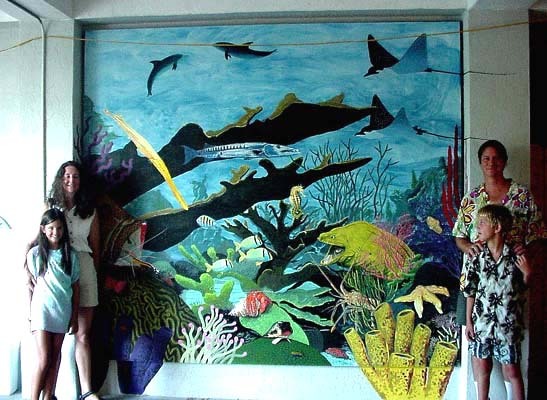 The whole family worked on this one for Island Dolphin Care in Key Largo, Fl. I wish I'd moved that electrical wire before we took this photo. The wire ran a fan that we really needed to keep cool. However 10' to the left was a magnificent canal to take a dip in, and dolphins were all around us. If you want to know more about Island Dolphin Care click here.